Jake Hower of the Multimedia Marketing Show interviews iPhone video expert Jules Watkins on creating high quality iPhone video footage. 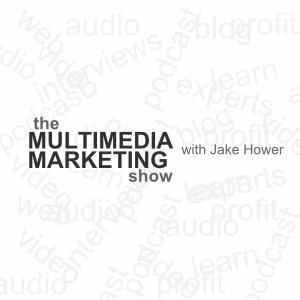 The Multimedia Marketing Show with Jake Hower recently released a podcast interview with iPhone video expert Jules Watkins. Among other things, the interview included topics such as equipment required to make high quality videos and the limitations of the iPhone video camera. Hower wanted to focus the show’s second podcast on shooting videos with the iPhone to provide value to audiences that have limited budgets to spend on video production. “One of the biggest barriers to entry for many people is technology. Not having to go out and invest in expensive video equipment removes one of those barriers for people. The iPhone is probably the first phone that has produced good enough video quality for us to do this,” said Mr. Hower. iPhone video expert Jules Watkins recommended that listeners save money in their video production budget for equipment besides the video camcorder. “Some people will put all their money into the $600 camcorder and not invest any more in the other things you need to make good videos. Video is not just about the camera, it’s about audio and lighting, as well as knowledge about how to create videos,” said Mr. Watkins. “The iPhone is a high definition camera and as long as you use it within its limitations, you can create videos on par with some of the $900 to $1500 D-SLR cameras,” he continued. Despite the fact that the iPhone has great potential to match the video quality of more expensive cameras, Watkins also warns of its limitations. “What I don’t recommend, for example, is trying to shoot a football match. Don’t try and shoot an amazing football video standing on the touch line with your iPhone. For that kind of video, you need a long zoom lens,” said Mr. Watkins. The interview also goes more in depth on the power of video marketing, ideal uses of the iPhone camcorder, and tools needed to shoot good videos with the iPhone. Business owners and marketers interested in learning more about turning their iPhone into a video marketing tool to engage with prospects and customers can listen to the full interview at The Multimedia Marketing Show. Too many people focus on short-term “push button riches” sales strategies. The Multimedia Marketing Show’s focus is on long-term sustainable solutions that build out the authority in a particular market. Business owners who implement the strategies taught in The Multimedia Marketing Show’s podcasts and videos will increase authority and build a defensible business that competitors cannot easily replicate. Tap into the video marketing expertise at The Multimedia Marketing Show with Jake Hower. Jake is a co-director of Pan Australian Travel. He joined his current business partner as a director in 2009. He has extensive travel industry experience, having worked in various senior positions before joining the company. Jake’s role within the company has him overseeing marketing, client management and new client acquisition, with a focus on driving innovation through the entire group. Jake is a member of Entrepreneurs Organisation (EO) and is actively involved in various travel industry associations.